When an individual is suffering from sciatica due to a pinched nerve, the pain may be excruciating. It may prevent a person from being able to work, play with their kids, concentrate or enjoy life for weeks to months. Of the various treatments that can help reduce the pain of sciatica, epidural steroid injections at a Las Vegas pain management clinic are one of the best ways of making life much more tolerable for individuals. When an epidural steroid injection is recommended by a Las Vegas Pain Management Doctor, it is performed as an outpatient with the person being able to go home the same day. The procedure itself does not require either oral or IV sedation, however, some patients are used to that or have significant anxiety and want to have sedation. Often times, the procedure is performed simply with numbing medicine around the skin and through the soft tissues down to the bone overlying the spine. Modern Las Vegas Pain Doctors use either ultrasound guidance or fluoroscopy, which is a real-time form of x-ray. This allows for the highest level of accuracy available, as previous studies have shown without image guidance the miss rate for epidural injections is as high as 40%. Patients are usually placed on their belly on a well padded table that allows x-rays to go right through. The procedure itself takes approximately 10 to 30 minutes depending on the difficulty encountered with needle placement. Once the needle is satisfactorily placed, the pain doctor will place contrast in the area to make sure it is successful. 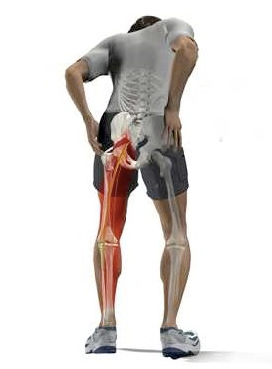 At that point numbing medicine along with steroid medication is injected to relieve the sciatica pain. The patient is then taken to the recovery area and watched for approximately 30 to 60 minutes to make sure no allergic reaction occurs and the vital signs remain stable. 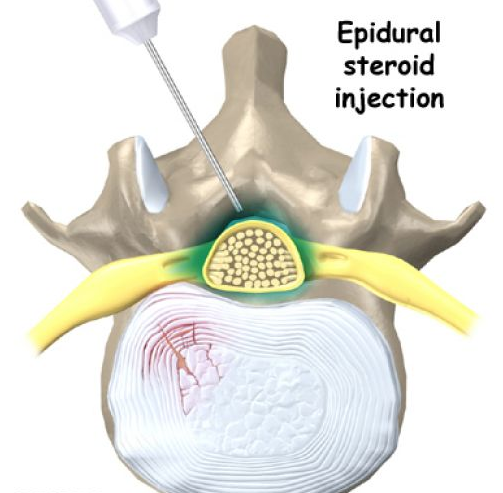 Pain relief may be immediate with an epidural steroid injection. Also it may be immediate and then wear off after a day once the numbing medicine wears off. When that occurs, steroid medication will often “kick in” after three days or so and may last for weeks to months. 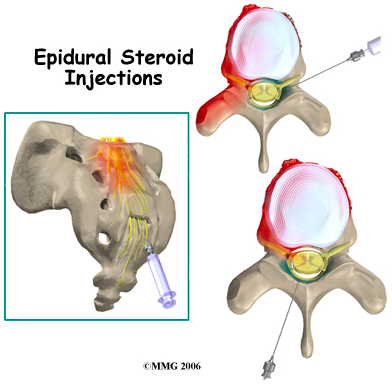 Many studies have looked at the effectiveness of epidural steroid injections for sciatica. Overall, the good to excellent results occur in 75 to 90 individuals. The duration of pain relief is typically six weeks to upwards of 2 to 3 months. At that point, the injections may be repeated. Typically an individual will receive a series of three injections 1 to 2 weeks apart. The risks of epidural steroid injections are small but real. There is a risk of infection, bleeding, nerve injury which is usually transient, and allergic reaction. A person may also have some transient reaction to the cortisone used, which may include a temporary blood sugar increase or slight weight gain or water retention. Overall, epidural steroid injections are some of the most beneficial procedures in pain management today. If you are experiencing significant sciatica pain or what you think may be due to a pinched nerve, seek treatment with Pain Management Las Vegas trusts today. Treatment may include epidural injections and also possibly pain medication, Las Vegas Chiropractor treatment, physical therapy, acupuncture or spinal decompression therapy.